Tested on some of the most difficult trails on the Iron Range of Northern Minnesota, this kit has what you need torun 32" tires and go almost anywhere. 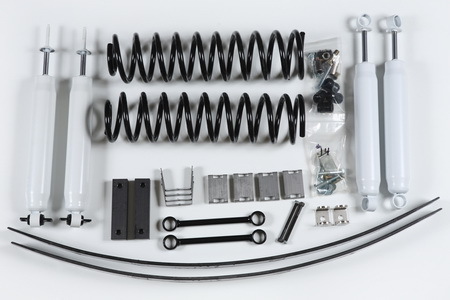 Installing this suspension immediately gives you a huge off road performance advantage over stock without sacrificing good ride quality on the road. This is a complete kit that comes with everything you need and nothing you don't!